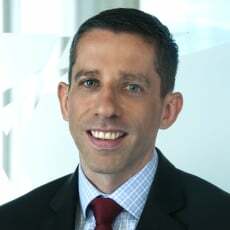 James Burch is a partner in the Global Finance and Corporate Group. James specialises in debt capital markets and structured finance with extensive experience in CLO's, securitisation and secured note programme structures as well as bespoke structured products. James also advises on a variety of banking and finance transactions including leveraged and acquisition financing, fund subscription financings and general secured lending. James regularly acts for asset managers, leading investment banks, financial institutions, public and private companies and leading on-shore law firms advising on a variety of finance transactions.